Before we get to John Rushdoony and Gary North, I wanted to point out another individual I came across (thanks Janna), who also believes Donald Trump is “anointed” by God. Is God rolling His eyes at all the claims regarding Trump? These people actually say that “God told them.” When a prophet did this in the Old Testament and was wrong, he was taken outside the city and stoned to death. I’m not saying that this should be done, but I sometimes wonder if that was still the penalty if we’d have people like Jonathan Cahn, Mark Biltz, Mark Taylor, Mike Thompson, Lance Wallnau, Harold Camping, and too many others to list here claiming to speak for God? It’s simply way too easy today to say “God told me” with too many people hearing with amazement and without using any critical thinking skills at all. In this particular case, Donald Trump is being called a “wrecking ball” God will use on America by Lance Wallnau, allegedly to free us from political correctness. Apparently, the church, conservatives, and patriots alike are so “fearful” of being called racist, homophobic, Islamaphobes, etc., that the fear has folks crippled. The answer? God is bringing forth Donald Trump because as we all know, he is not encumbered by worrying about political correctness. The guy referred to in the quote below – Lance Wallnau – is an individual who is a recognized leader and who has made the connection between Donald Trump and the Old Testament passage of Isaiah 45, which has to do with God’s anointing of Cyrus. If that doesn’t mean anything to you other than the fact that it speaks about God’s anointing of Cyrus, whom God eventually used to subdue the nations before Him and protect Israel, then you’re not alone. I’d like to point out to Wallnau that Cyrus was used by God in his dealings with Israel and was one of the kings of the second empire revealed in Daniel 2, the Medo-Persian Empire, which followed Babylon’s downfall. The four empires mentioned there are Babylon, Medo-Persian, Grecian, and the Roman Empire. The Roman Empire will rise again and morph into something very fierce during the time just prior to the Lord’s return. Interestingly (and seemingly ignored by people like Wallnau), all the empires referred to in Daniel 2 and elsewhere (as the “times of the Gentiles”) are all in the same essential geographical area of the world. Babylon grew out of the old Assyrian Empire. Babylon was conquered by the Medes-Persians in that same general area. Alexander the Great then conquered the Medo-Persian Empire and expanded it, which was conquered by the Romans, expanding that previous empire. The core of each of these empires was what we call the Middle East. But today, people like Wallnau want us to believe that God’s 45th chapter of Isaiah references Donald Trump, but how does this tie in with Donald Trump? If the Donald is elected, he would become the 45th president of the United States (Isaiah 45 – get it?). 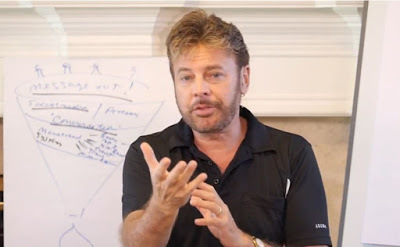 Obviously, the two numbers mean there is a godly connection, at least to Wallnau and others who see it his way. But let’s hear it more. I’ll remind everyone that when Isaiah was originally written, no chapter or verses numerical references were given. Those were added much later by translators. By the way, never mind that Cyrus was an actual king over the Persian Empire. Nebuchadnezzar, Alexander, Cyrus, Darius, the Caesars – all of them were either kings or had dictatorial powers over the nations/empire they ruled. This is not the way America was founded, yet too many Christians have made the mistake of thinking that America should be a theocracy. It’s not. It never will be and the difference is lost on the people who gullibly believe the Lance Wallnau’s of this world. To sum up, though, Wallnau says he was given an image of Trump along with the words “45th president of the United States” and a directive to read Isaiah 45. This passage concerns a non-believing man named Cyrus, who was raised up by God to become a king and to perform certain acts to help God’s people. Wallnau goes on to explain that God will sometimes raise up non-believers and confer on them “common grace” (not the grace of salvation but grace to protect and assist in carrying out a mission) so they can be used by him. Wallnau cites past leaders like Abraham Lincoln, Winston Churchill and FDR as other examples of Cyrus-type leaders. Lance Wallnau also believes Donald Trump is God’s “anointed” man for America, based on Isaiah 45. There you go. Need anymore convincing that Trump is God’s anointed guy for America for at least the next four years? Why Trump specifically? Wallnau goes into some detail, which I won’t bother with here, but feel free to read if you’re so inclined. Personally, I believe either Wallnau is lying outright or he is fully deceived. I do not believe for a moment that God spoke to him anymore than I believe God spoke to Mark Taylor, Mike Thompson, Jonathan Cahn, Mark Biltz, or any other modern-day “prophet” who claims to speak for God. I fully believe it’s all about selling their product, whatever it happens to be. Interestingly enough, when one writer dared to publish a book critiquing Cahn’s The Harbinger, a lawsuit was filed by Cahn’s attorneys. The reason? “Loss of sales” for Cahn’s book. Once the lawsuit became public, it was quietly and quickly withdrawn. Money talks and apparently, these guys like having “best-selling” books. Better not interfere with that. This latest thing with Lance Wallnau is simply another example of today’s Dominionism. In this case, like Jonathan Cahn, passages connected with Israel are essentially yanked out of their context and mistakenly applied to America. As God used Cyrus with Israel (Isaiah 45), so God will use Donald Trump for America (as 45th president). Is it any wonder that Christians come across as absolute morons to the world? It’s as though we put our brains on the shelf and go strictly by the way things make us feel. There is no rational or godly thought behind this, though I know many would disagree with me. Wallnau, who is not a preacher or theologian practices terrible exegesis here. He is some guy claiming that God revealed to him the future with respect to America’s next president. As we’ve seen, so far two other guys that I’m aware of – Mark Taylor and Mike Thompson – also claim God has revealed much the same to them. Anyone who disagrees with them is essentially disagreeing with God. That’s your choice. You’re either for or against God. There are no other alternatives and for the people who rabidly follow these modern-day “prophets,” if you do not agree with them, then you are clearly against God. Of course, when you have two modern-day “prophets” who offer opposing positions, then it becomes a bit muddy. Of course, the followers for each “prophet” line up hurling invective at the followers of the other prophet and even waste no time in referring to that other “prophet” as a false prophet. Color me unconvinced about Wallnau’s “prophecies.” Emotional virtue (aka political correctness, aka Cultural Marxism) has gained access to Christendom today. Christians by and large operate under how something makes them feel instead of the absolute truth presented in God’s Word. Satan has worked so hard to achieve it and has gained an ever-increasing following because of it. 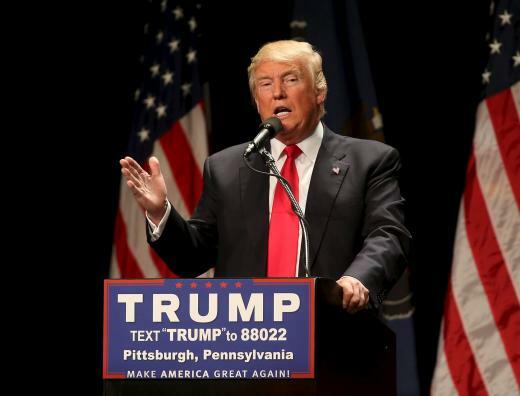 When Trump does not win the election this November, what will happen? Guys like Lance Wallnau will blame it on the weakness or faithlessness of the Church. They’ll malign the Church saying that God wasn’t able to do what He really wanted to do, not because He isn’t powerful enough, but because the Church lacked faith, stamina, and willpower. They always have some out for themselves. Jonathan Cahn has done it. Mark Biltz has done it. Later this year, Wallnau and the rest will do it. Of course, if Trump is elected, they will be convinced that it was because of God. I won’t be, but I will certainly be willing to concede that God allowed Donald Trump to become president as He allowed Barack Obama (and all the rest before him), to become president. He may do so because of His overall purposes for this world (not just America) and that has to do with allowing Satan to create a kingdom (the Revised Roman Empire) with his spiritual “son” (Antichrist) at the helm. This will allow Satan an opportunity to fulfill his promises found in Isaiah 14 where he promised to become “like the Most High” (Isaiah 14:14). God’s going to let him try. America is just another nation as far as God is concerned. It’s Israel that matters and God achieving His goals. He may allow Trump to be elected but it won’t be to be any kind of “wrecking ball” for America as Wallnau thinks. It will be to help bring this world toward a one-world government. I always have to wonder why God would take the time to tell people today of His alleged plans? We know the general (and often specifics) aspects of end times prophetic events. We know what’s going to occur. We simply don’t know when in numerous cases. That’s not good enough though? God needs to tell certain individuals today what He plans on doing in a few months? Why not simply let it happen? The fact that these guys come out with their alleged prophecies (which turn out not to be true for the most part) simply points the finger at them, not God. They offer no proof except to wait and see. When wait and see comes and goes and nothing happens, then the excuses are rolled out. People are way too easy to accept the excuses as “godly reasons” and continue to give people like Lance Wallnau the time of day when they should be dutifully ignored for being a false prophet. Remember folks, these guys are prophesying that certain things will happen. When they don’t, we should label them what they are – liars and fakes – but instead we give them another chance. It amazes me how so many Americans (especially Christians in America), end up being so easily deceived. That’s what happens when you chase after feelings and “signs and wonders” without submitting things to any solid test from Scripture. If people did that, they would understand that the events that occurred in the Old Testament – by and large – had everything to do with Israel. Since many of these “prophets” of today liken America to Israel – thereby making some ethereal, spiritual connection that actually does not exist at all – the deception is complete, having gone full circle. Unfortunately, most Christians in America are biblically illiterate. They use the same method with the Bible that they do to type – the hunt and peck method. They would never read any other book like they read the Bible. They think it is a book of spiritual magic that allows them to take any verse and apply it any way they see fit as long as it makes sense to them. Dictators, serial killers, and false prophets have been doing this for centuries. Today’s Christian is more often too lazy to do the real research. They exclude context – both literary and historical – from the pages of Holy Writ. In doing so, they “free” up God to say that His Scriptures can mean anything. The problem is that the Bible means one thing or it means nothing. Today’s “prophets” have caused it to mean nothing and yet, they feel so spiritual, as if they’ve touched the hem of His garment. Here again is yet another guy who deigns to speak for God, who believes that God spoke to him and revealed things about the future to him. When these things don’t come to pass, will his followers hold his feet to the fire (figuratively speaking)? Of course not. They’ll blame it on the “naysayers,” the “faithless” or other things, anything but the fact that maybe…just maybe God never revealed anything to Lance Wallnau. Okay, enough for now about Donald Trump. Oh, and by the way, IF Donald Trump is elected, I will not be admitting that I was wrong and Wallnau is correct. I’ll simply sit back and watch Trump accomplish nothing for the American people or God and cater to the Elite in some way, shape, or form, as every other president has done before him. Wrecking ball? Uh…sure. Well let’s move onto a couple of guys who are well-known in the Dominionist arena, shall we? Unless I come across another movement or person who espouses the virtues of Donald Trump as God’s “anointed,” we’ll deal with Rousas John Rushdoony (“The Father of Christian Reconstructionism”) and his son-in-law Gary North (the theonomist “Chalcedon Foundation”, publisher of the Journal of Christian Reconstruction). Together, these guys have done more harm to the Great Commission than anyone I can think of, at least in modern times. Yet, they are venerated and followed religiously by people who cannot and do not think for themselves. Entry filed under: christianity, Cultural Marxism, Demonic, devil worship, emergent church, Emotional virtue, eternity, Global Elite, Islamofascism, israel, Judaism, Political Correctness, Politically Correct, Politics, Religious - Christian - Prophecy. Tags: christian reconstructionism, dominion theology, dominionism, dominionist, donald trump, false prophets, gary north, isaiah 45, john rushdoony, jonathan cahn, lance wallnau, make biltz, mark taylor, mike thompson, modern day prophets. It’s All About Dominionism, Kingdom Now, and the New Apostolic Reformation, Part 5	Coming Out of the Box with the Last Reformation? Well, In the end times as we are now,, we will see visions. Many people have and are proven Gdd driven. So, we don’t know these people’s hearts or how God judges them, we just have to watch and see. So you’ve just clued me on on the video you want me to watch. When you say “His teachings follow exactly to the book of Acts” you are including signs and wonders? If so, I couldn’t disagree with you more. You also say, “He explains our commission perfectly.” And not ONE person prior to your guy has done this? The “men will see visions” part of it is something you have clearly taken out of context. The problem is that the “end times” BEGAN with the physical life of Jesus and it goes until He physically returns. When the end times began, yes, people – mainly the apostles – saw visions. They also spoke in tongues. They also performed miracles, including healing the sick and even raising the dead (as in the case of Peter with Dorcas, Acts 9). If you are saying what it appears you are saying – that signs, wonders, miracles – are alive and well today, then I would fully disagree with you and we will likely have to simply agree to disagree. We need to “watch and see”? No, we don’t. We can go by what they SAY and I believe it is very clear that these people have absolutely NO clue how to “rightly divide” God’s Word at all. I don’t need to “know” their hearts or determine “how God judges” them to know whether or not what they are preaching is truth. I am SO tired of Christians who waste so much time chasing after signs, wonders, tongues, healings, and all the while, the lost are waiting to be evangelized! This is anathema to God, but we have to “watch and see”? If that’s the case, then there is absolutely no purpose in having the Bible at all, is there? God is always “adding” to His Word so we must wait and see what happens before we can determine truth. This was fine for the Old Testament prophets and even during New Testament times when the Bible was still being written. Then, there was little to compare things with. As it was, the Bereans heard Paul and compared his teachings with God’s Word (Acts 17), but they also only had the Tanakh then. Now, we have the entire Bible and that Bible takes us all the way to the return of Jesus, the 1,000 years AFTER He returns, the destruction of this planet and the creation of a new heaven and new earth AND into eternity future. Now, more than ever, I will find the time to watch your video. I just can’t wait to hear your feedback….